Tubbataha Reefs Natural Park is home to the most beautiful coral reefs in the world and are the largest concentration of coral reefs in the Philippines. Rising from the volcanic depths of the Sulu Sea in the western Philippines, these magnificent atolls encompass an astonishing diversity of marine life. Hundreds of different species of vivid corals cover more than two-thirds of the area. This intact and remote ecosystem rivals the Great Barrier Reef – having 300 coral species and 400 fish species. Animal species that inhabit the reefs include whales, manta rays, lionfish, turtle, clownfish, spotted dolphin and sharks. Tubbataha is the Philippines’ first national marine park and is also a UNESCO World Heritage Site, a place of global importance being preserved for future generations of humankind. Tubbataha supports an unparalleled variety of marine creatures. Colorful reef fish crowd corals growing in the shallows while sharks and pelagics haunt the steep drop offs to the open sea. Tubbataha Reefs Natural Park covers a pristine atoll reef ecosystem with a very high diversity of marine life. The park consists of three reef areas: North and South Atoll, divided by 8km, and Jessie Beazley Reef 20km to the north. 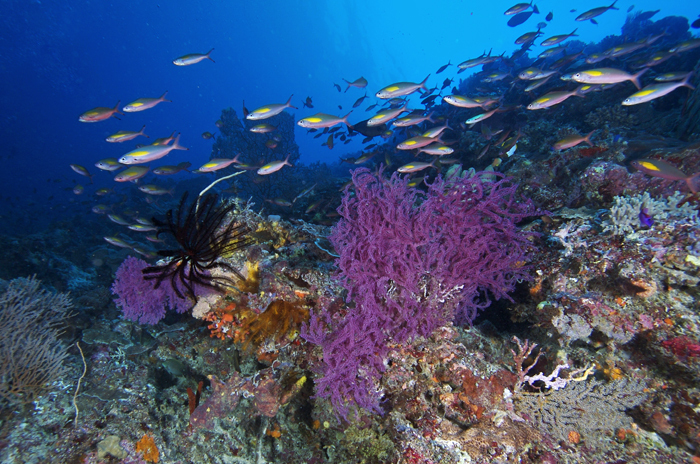 It is located within the Coral Triangle, a global focus for coral biological diversity. Tubbataha Reefs Natural Park (TRNP) lies in the middle of the Sulu Sea and falls under the political jurisdiction of Cagayancillo, an island municipality situated 130km to the north. The park is 150km southeast of Puerto Princesa City – capital of the Province of Palawan – the usual jump-off point for visitors and dive boats going to Tubbataha. A team of rangers are stationed on the reef year-round and, from March until June, divers visit Tubbataha to experience the wonders of this unique underwater world. Aside from being a marine sanctuary, Tubbataha is also renowned for being a bird sanctuary. It holds nesting sites for seabirds. 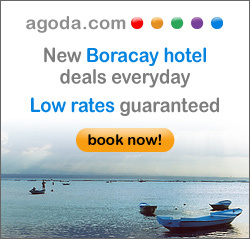 For more information, visit Tubbataha Reef. How to get there: The Tubbataha Reef is accessible only by sea transport. It generally takes 10 hours to get to the park from Puerto Princesa, depending on the speed of the boat. Most of the vessels leave after dinner and arrive in Tubbataha at around 6 a.m. Some slower vessels, however, leave the wharf earlier in order to arrive in the Park at first light.